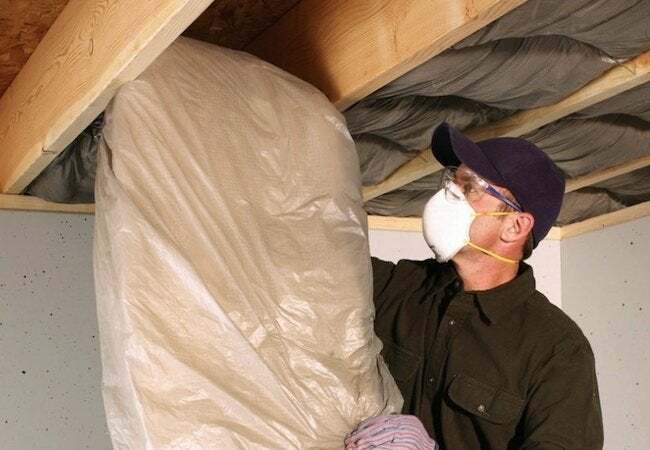 Even if you don't plan on ever using your crawl space, sealing the area can prevent mold and mildew while helping to minimize heating and cooling bills. If you have a crawl space in your home that’s not adequately sealed and insulated, you’re probably wasting money on inefficient heating and cooling (not to mention inviting insects and rodents to share your abode). To button up your crawl space, survey the space on a clear day, looking for any signs of sunlight coming through the foundation. If you don’t see any, that’s a good sign, but take a closer look with a flashlight, paying special attention to areas where ducts, pipes, and wiring are concentrated. Seal any gaps you find using a quality, flexible caulk or expandable foam. In addition, install weather stripping around the crawl space entry door. If the floor down there is either soil or gravel, carpet it with thick plastic sheeting (to combat moisture problems). Use bricks or heavy rocks to keep the sheets in place. Finally, install insulation between the floor joists. That’ll ensure that what happens in the crawl space, temperature-wise, stays in the crawl space.